I had just matriculated in 1956 and I read in newspaper that Russia has sent a satellite to moon successfully. The satellite landed on moon. I was greatly exited and went straight to my father who was a maulavi with the newspaper and read out the news. My father had liberal views and welcomed the event. However, another maulavi was sitting at the time with him and he cried it is a lie. One cannot land on moon; it amounts to interfering with Allah’s work and this cannot be permitted. Soon after another satellite was sent which crashed midway. This malavi who was angry at the attempt to send satellite at moon noticed the news of the crashed and came rushing with the newspaper and threw it in my face and said see Allah’s punishment to these atheists who interfere with His work. I did not argue with him and kept quiet. 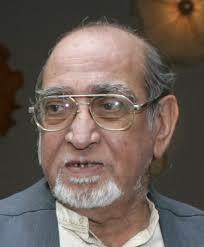 During those days a book in Urdu was published from Pakistan written by, if I recollect correctly, Dr. Ghulam Jeelani. The title of the book was Do Qur’an (i.e. two Qur’ans). The author argued that one Qur’an was of orthodox mullahs who believed in superstitions and the other Qur’an was one which accepted science and its discoveries. It contained all important principles of science and gave several examples by quoting verses from Qur’an. He also tried to draw various laws of science like law of gravity, velocity of falling objects towards earth, Darwin’s theory and so on and so forth. The author of the book impressed me a great deal as at that time I was just a student of 11th standard. However, later on I revised my views and came to the conclusion that Qur’an should not be treated as a source book for science as it is basically a book of guidance. It should also not be treated as a book of history as various stories relating to past events in the Qur’an are narrated to draw a moral, rather than to write history of the past Prophets. However, even today many people adopt Dr. Jeelani’s approach and treat the Qur’an as a source of scientific theories. But they are unable to explain why only after some major discovery they find it in the Qur’an and not before it? Many people have tried to prove even theory of relativity from Qur’an. They also try to prove, as pointed out, theory of evolution of life as propounded by Darwin. If all this is in the Qur’an, Muslims should have discovered all this much before the western scientists did. However, Muslims only find it in the Qur’an after these discoveries are made by the scientists. In my opinion this amounts to dragging Qur’an in scientific controversies. Qur’an, or for that matter any religious scripture, should remain above such controversies. In the world of science what it is established through empirical observations today, may change tomorrow on discovery of other facts. Thus religious scriptures should not be subjected to such exercise. Science deals with the world of empirical facts whereas religious scriptures like the Qur’an deal with spiritual and moral world; while higher spiritual truth is dealt with by religions. It is vital to understand this truth. It was in pretty old days, in colonial period, to be precise, that one saw contradiction between religion and science. Today hardly anyone sees contradiction between the two. Most orthodox people also use modern technology and benefit from it. The orthodox religious priests, ulama and sadhus use T.V. channels for spreading their views. Q T.V. runs 24 hour channel telecasting Qur’anic commentary, answering people’s questions about their daily problems, throwing light on Shari’ah etc. Similarly several channels are being used by various religious leaders to telecast their religious and spiritual views. Thus gone are days when religious leaders used to reject scientific inventions. We read in Sir Syed Ahmad Khan’s writings that the ‘ulama had issued fatwas against using watch for determining timings for prayers in 19th century. Even there was fatwa against use of loud speakers for azan (i.e. call to prayer). Today all mosques are equipped with loud speakers for azan. One cannot think of any mosque, even a ramshackle tin mosque, without loud -speaker. Thus scientific and technological changes have their own force to get themselves accepted. In my view religion and science belong to two different spheres. One should not be posed against the other. They may or may not be complimentary either. Science deals with, as already pointed out, with this world and with world of empirical facts. Religion, on the other hand, deals with higher and spiritual truth. We should also distinguish between fact and truth. Fact is not truth and truth is not fact though truth cannot contradict fact. Fact exists out there whereas truth deals with spiritual values and may not necessarily exist out there. Science can deal with facts out there, not within ones subjective or spiritual world. Truth may also deal with the world hereafter whereas science deals with the material world we live in. Religion when it deals with material world, it deals with it in moral sense. Science deals with facts in a systematic manner to understand their nature and also deals with the causes of various phenomena. Science answers the question how and why after systematic study of a phenomenon. It does not leave any thing to mere imagination. It also demolishes superstitions which are based on presumption without systematic study of a phenomenon. Science enables us to understand the whole universe, how it came into existence and how it evolved over billions of years. Religion, on the other hand, deals more with the inner spiritual world than outer world. Inner world is not less complex than the outer universe. In Islamic tradition there is Prophet’s saying one who understands ones inner –self can know his Lord. There is great insight in this saying of the Prophet (PBUH). Thus religion deals with spiritual universe as science deals with material universe. Are their contradictions? Of course it depends on point of view as to how one interprets the scriptural injunctions. Many faithfuls believe that one should take scriptural statements literally, not metaphorically. For example both the Bible and the Qur’an say about the creation of the universe, “Be and it became”. Or also both the scripture say the universe was created in seven days. Do we take these statements in literal sense? Then yes there appears to be contradiction between what science arrives at and what these scriptures say. But the other view is one need not take these statements in literal sense. At one point of time this universe did begin representing ‘kun’ (i.e. be) and this resulted in fa yakun (thus it became). However, this does not imply that entire universe came into existence in perfect form as we see it today without any process of evolution, gradual formation and death of stars and planets. Both the Qur’anic words kun and fa yakun can be taken in allegorical sense. An event in scientific language did take place with big bang representing kun (if we accept the big bang theory) and then began gradual evolution of the universe over billions of years representing fa yakun. It may appear rather far fetched for many theologians who take words of the Qur’an literally. Thus seven days of creation should not be taken in our mundane sense. Allah’s count is different from ours. We reckon time in terms of hours, days and months and years according to solar time. But on universal scale solar time cannot be the real measure. This count of time is relevant for earth as part of solar system but it will not apply to entire universe. It is in this light that we should understand the Qur’anic statement that Allah created this universe in seven days. For Arabs who had no developed astronomy Qur’an had to use figures which they could comprehend. And the purpose of the Qur’an was not to teach Arabs the real nature of the universe, its evolution and its time scale but to impress upon them the power of Allah (qudrat) in creating this universe. If the Qur’an had made statements like a scientist, neither it was its purpose nor it could have been understood by the Arabs from primitive society. The Qur’an, let us understand clearly, was addressing the Arabs in immediate context and hence it had to be comprehensible to them. But since it was not meant only for them nor only for that time alone, it had to talk at different levels of intellectual comprehension. Even Arabs, the immediate address of the Qur’an, were of different calibres from totally illiterate Bedouins to experienced Arabs of better intellectual calibre, Qur’an used plain descriptive language as well as highly allegorical and symbolic language. It talked of immediate social and economic problem as well as of cosmic and other worldly issues. The Qur’an talks of creation, sustenance and end of this universe. It is not easy to describe all this in plain and direct language. Though these statements should not be treated as scientific in usual sense of the word, yet they could not be said to be misleading in anyway. Hence its language though not scientific, it was complex and symbolic. Difficulties were obvious. Firstly, as pointed out the Qur’an was not book of science but that of moral and spiritual guidance. Secondly, it often makes statements on beginning and end of universe involving timescale not easily comprehensible by the Arabs of the time. Thirdly, no one could have thought of numbers in terms of billions and trillions involved in talking of beginning and end of universe. Even talking in terms of those numbers would not have served any purpose. When the Qur’an talks of beginning and end of the universe, its purpose is moral, not scientific. Thus it needs kind of language not easy to use. The statements of this kind exhorted people and yet would not be such as refutable in empirical sense. The Qur’an does this quite deftly and skilfully. The Qur’anic exhortations are very powerful. Let us, for example, take the chapter 85. And the bearer of witness and that to which witness is borne! Destruction overtake the companions of the trench! And they are witnesses of what they do with the believers. Whose is the kingdom of the heavens and the earth. And Allah is witness of all things. “Of what they ask each other? Nay they will soon know. And the mountains as pegs? And the mountains are moved off so they remain a semblance. Living therein for long years. This description of natural phenomenon of how Allah created earth, planets, solar system, how it rains and earth grows grains and how truth will be revealed, mountains moved and how those spiritually dead will rise to new life and how those who deny the truth will be assigned to the hell where they will feel intense heat of uncertainties and intellectual confusion. Thus the language used by the Qur’an is allegorical and also describes certain natural phenomenon. Thus it is mix of description of natural phenomenon as well as oral exhortation. The natural phenomenon described in these verses like creation of everything in pairs, sending down rain which enlivens earth and grains and herbs grow and so forth. This description is simple and according to day today observation. It has no element of superstition. Then it is for scientists to study these phenomenon as to how exactly it rains, how clouds are formed from the sea water and in what conditions these clouds pour out water. It can be clearly seen that the Qur’an describes these natural phenomenon, not as scientific phenomenon but for moral exhortation. Thus Qur’an does not deal with scientific theories but describes phenomenon accurately so that scientists can study them in depth and draw proper conclusion. It also encourages believers to think, reflect and analyse so that you may understand this universe and its creator. Thus we find verses in the Qur’an which say, “ See they not camels, how they are created? And the heaven, how it I raised high? And the earth how it is spread out? These verses require human beings to observe these natural phenomenon so that they can reflect over them and discover what is hidden from common eyes. Qur’an’s whole approach, it is important to note, is inductive. Francis Beacon who, in a way, is founder of modern science, emphasised inductive logic in studying natural phenomenon and the universe. The Greek Philosophers had emphasised deductive logic and hence science remained static for centuries. Deductive logic entirely depends on basic premise and since no one questions the basic premise the whole deduction can go wrong if the premise is wrong. Inductive logic, on the other hand, does not depend on any such premise but on observation and hence it remains dynamic in nature. Conclusions change in keeping with observation. Deductive logic depends on speculative assumption whereas inductive logic depends on empirical observation. Thus inductive logic is the very foundation of modern science and Qur’an repeatedly urges the believers to observe the whole universe and reflect as to how it was created. Thus it will be seen that Qur’anic approach is more conducive to development of modern science. Had Muslims followed this inductive approach they would have made many major discoveries. But unfortunately, as also pointed out by Dr.Muhammad Iqbal in his book Reconstruction of Religious Thought in Islam that Muslim philosophers and intellectuals were greatly fascinated by Greek philosophers like Plato and Aristotle who were founders of deductive logic and hence they could not achieve what subsequently Europe could achieve. Though it is true that Muslim philosophers and intellectuals contributed immensely in the field of science and philosophy and became harbingers of knowledge or, as pointed out by the British historian H.G.Wells in his book A Short History of the World, Arabs were foster father of knowledge, their fascination for Greek philosophy and deductive logic, made them static. The Europe, on the other hand, abandoned deductive logic in favour of inductive one and made great strides in modern sciences. Also, add to this decline of the Abbasid State whom the renowned historian Toyenbee refers to as ‘universal state’ in Islam also gave a serious jolt to intellectual vigour and urge for discoveries and inventions and the Muslim society became static and conservative. The shari’ah debates and science of Islamic jurisprudence took precedence over philosophical and scientific debates. It was during this period of political decline that Imam Ghazzali, himself a great philosopher and a theologian wrote his book Tahafat al-Filasifa (Random talk or smattering of philosophers). Ibn Rushd, renowned philosopher from Spain replied to Ghazzali through his book Tahafat Tahafat al-Falasifa (Randomness of Randomness of Philosophers) but it is Ghazzali who influenced the Islamic world and not Ibn Rushd. Thus it will be seen that the Islamic world, when it was at the height of political power and had sense of security, contributed richly to the world of science but with the decline of its power and rise of European power, it began to stagnate and never achieved those heights. And as it happens, superstitions thrive in the time of insecurity, Muslims also developed superstitions directly in contrast to the Qur’anic approach. These superstitions so overwhelmed the Islamic world that Muslim ‘ulama during eighteenth and nineteenth centuries began to oppose all scientific inventions dubbing them as against Islamic beliefs. The ‘ulama at one time also maintained that earth is flat and that it is sun which goes round the earth and not earth round the sun though there is not a single statement to this effect in the Qur’an. On the other hand the Qur’an states that all stars and planets go round in their orbits. In conclusion one can say that religion should not be put vis-à-vis science but should be seen as a rich source of morality and spiritual growth without being opposed to modern science. In fact if science adopts religious moral and spiritual values science could really enrich humanity but in the absence of these moral and spiritual values science is being exploited as a powerful destructive force by the powerful vested interests.